I have previously written about current interest in the so-called first vampire, Jure (or: Giure) Grando, first mentioned by Johann Weichard von Valvasor in 1689. In the meantime, a local gymnasium has made an amateur video about Grando that is possibly worth watching, even if you can only understand a word here and there. 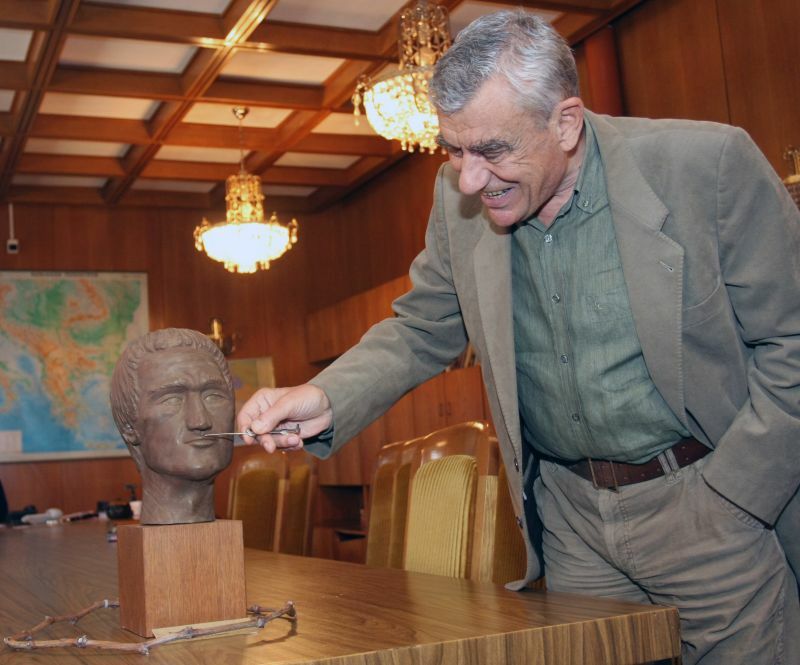 Author James Lyon recently visited Kisiljevo in Serbia with ABC News in search of Peter Plogojowitz. Garvie-Lok has also told her story in the Huffington Post. 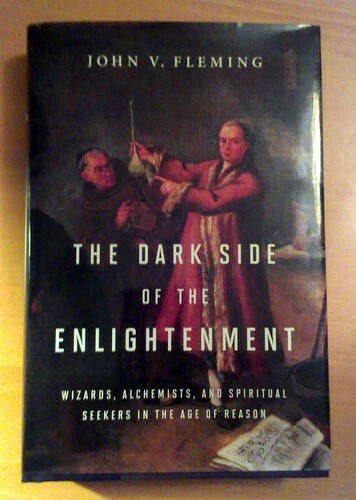 The Dark Side of the Enlightenment is published by W. W. Norton & Company. 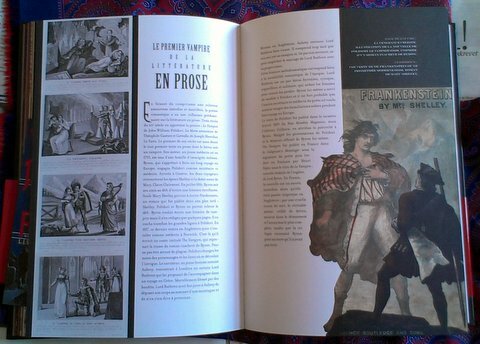 The cover is taken from a painting by Pietro Longhi. At the conference on vampirism and magia posthuma in Vienna in 2009 I had the opportunity to talk to Professor Marco Frenschkowski about Montague Summers, so it was interesting to read what he had to say about the subject in a delightful and inexpensive introduction to the cultural history of witches published last year, Die Hexen: Eine kulturgeschichtliche Analyse (Marix Verlag). In fact, what he writes is very much like the opinion he told me back then: that he thought many scholars denounced Summers, but still read his books, albeit discreetly. Frenschkowski also admits that the reader may doubt whether Summers actually did believe fully in the reality of the vampires, werewolves, witches, and demons that he claimed, but finds he use of sources solid and learned, while his style and subject matters have made his books desired collector's items. Die Hexen: Eine kulturgeschichtliche Analyse is one of three books by Frenschkowski published in the series Marix Wissen. On vampires of mythology and folklore Frenschkowski has written an article in the anthology Draculas Wiederkehr edited by Thomas Le Blanc, Clemens Ruthner, and Bettina Twrsnick that was published in 2003. 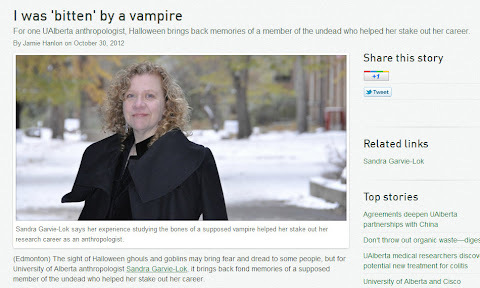 Are there vampires in the library? More information on the library's web site. 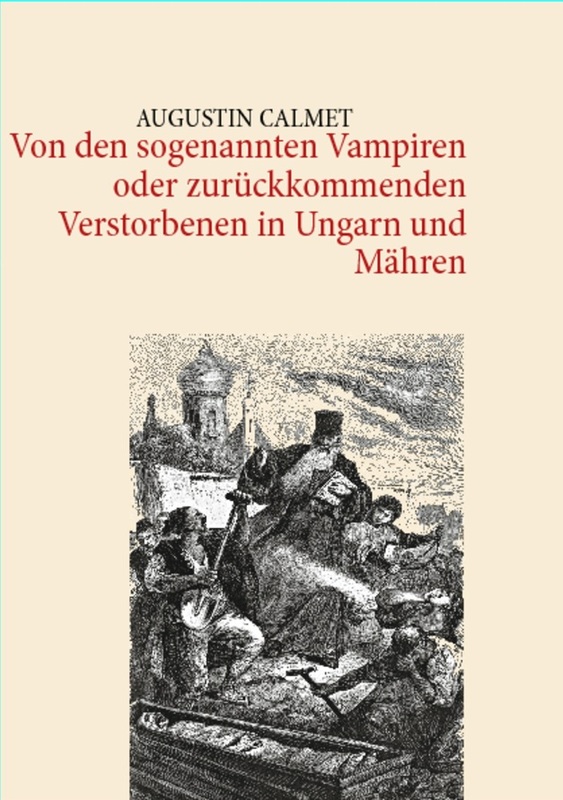 From the ever productive Nicolaus Equiamicus comes a new German edition of the second volume of Augustin Calmet's Dissertation on apparitions and vampires. Soon to be published, this 160 page volume is available for pre-order from German amazon at € 14.95. "Seit ungefähr sechzig Jahren hat sich in Ungarn, Polen, Schlesien und Mähren ein neues Schauspiel hervorgetan, indem dort Leute, die schon mehrere Jahre oder Monate zuvor verstorben sind, wieder zurückkommen, reden, gehen, die Dörfer beunruhigen, Menschen und Tiere misshandeln, ihren Verwandten das Blut aussaugen, ihnen Krankheiten und schließlich gar den Tod verursachen, und sich auch von solchen überlästigen und schädlichen Besuchen nicht zurückhalten lassen, bis man ihre Leiber wieder ausgräbt, spießt, ihnen das Haupt abschlägt, das Herz ausreißt, oder sie verbrennt..." (Augustin Calmet) Augustin Calmet (1672-1757), den gelehrten Geschichtsschreiber und Abt des Klosters Senones/Lothringen, würde heute kaum mehr eine Menschenseele kennen, hätte er nicht im Jahre 1746 dieses Buch über Vampire geschrieben. Er behandelt darin die Vampirthematik in 59 Kapiteln aus theologischer und historischer Sicht und geht dabei detailliert auf zahlreiche überlieferte und aktenkundig gewordene Vampirfälle ein. Das für Calmets Verhältnisse eher kleine Werk übertraf den Erfolg seiner anderen Bücher – unter anderem verfasste er einen dreiundzwanzigbändigen Bibelkommentar - bei weitem und erschien bereits im 18. Jahrhundert in vier französischen und drei deutschen Auflagen. Die vorliegende Neuausgabe soll dazu beitragen, dass dieser Klassiker der Vampirologie auch weiterhin nicht in Vergessenheit gerät. 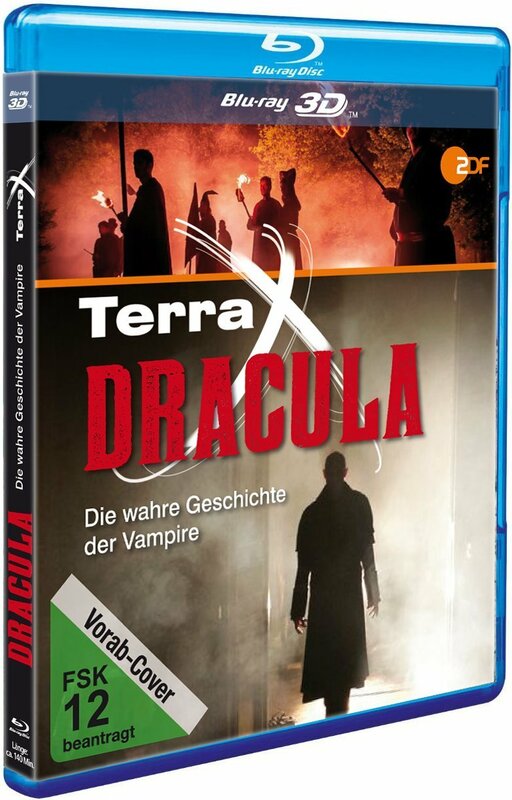 The German documentary series Terra X on channel ZDF launched a new documentary on Dracula and vampires this evening, Dracula: Die wahre Geschichte der Vampire, which is currently available on the ZDF web site along with various information on vampire books a.o. Forensic scientist and vampire expert Mark Benecke as well as Dr. Clare Downham participate in this program that is partially narrated by Count Dracula himself as portrayed by actor Christian Baumann. 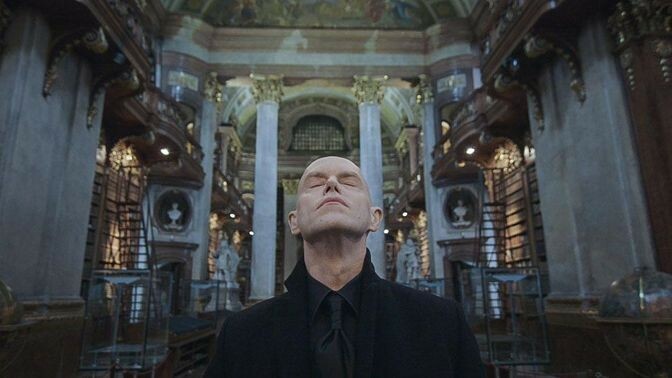 The Count visits the archives in Vienna to examine the original Visum et Repertum, and we see Flückinger examine 'Arnold Paole' - even the apocryphal journey of Gerard van Swieten to Moravia is dramatized. Still, this is generally one of the best documentaries on the subject so far, including visits to Romania, London, and Vienna, where Dracula studies some of the 18th century literature on vampires in the Prunksaal next to the bust of van Swieten. The documentary will be released on DVD and Blu-ray in early 2014. According to Amazon, the last of the three volumes of Corpus Draculianum will be published in December, while the first two volumes will follow in 2014 and 2015. The Corpus compiles all sources to the current knowledge about Vlad Tepes, written in 16 different languages and supplemented by translations and commentaries, and is intended to not only make these sources available to both scholar and layman, but also to defictionalize the Wallachian Woiwode. 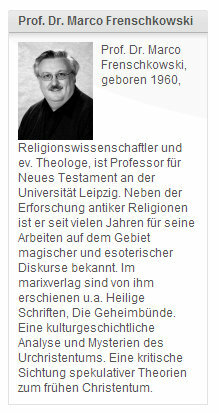 For more information (in German) on the books, see this web site. The Corpus is prepared by Thomas M. Bohn, Adrian Gheorghe and Albert Weber. The books are published by Harassowitz Verlag in Wiesbaden, Germany. 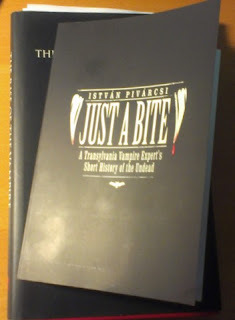 Hungarian historian István Pivárcsi has written a number of books on vampires and other subjects in Hungarian, while so far only the book quoted from above has been translated into English: Just A Bite: A Transylvania Vampire Expert's Short History of the Undead (paperback, 292 pages, $14.95). 'For more than twenty years he has led vampire tours in neighboring Transylvania,' the publishers write, making the reader expect that the book will contain a lot of information on vampires related specifically to Transylvania. 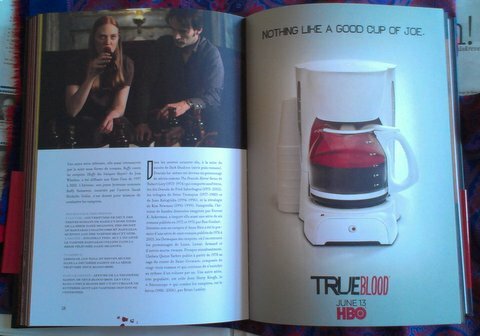 Most of the book, however, covers ground familiar from numerous other books: Vlad Tepes, Elizabeth Bathory, Gilles de Rais, werewolves, zombies, the Golem, beliefs related to blood, vampire bats, porphyria, and the vampire of popular culture, and quite a lot of what is said about Romanian vampire beliefs is very brief. 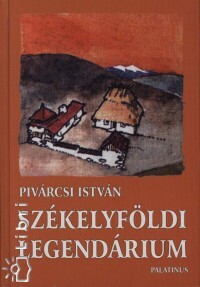 Pivárcsi, unfortunately, does not evolve this theme much, but in a short chapter he relates some accounts related to the Transylvanian belief that 'were adapted by your humble guide from my archival research in Transylvania coupled with material in the works of the noted twentieth-century Hungarian folklorists Enikö Csögör and Tekla Dömötör.' There are in fact only five accounts, or 'possibly true tales', a couple of which are rather schematic, while the rest include other, and more interesting aspects of local folk beliefs that unfortunately are not dealt with in the book. 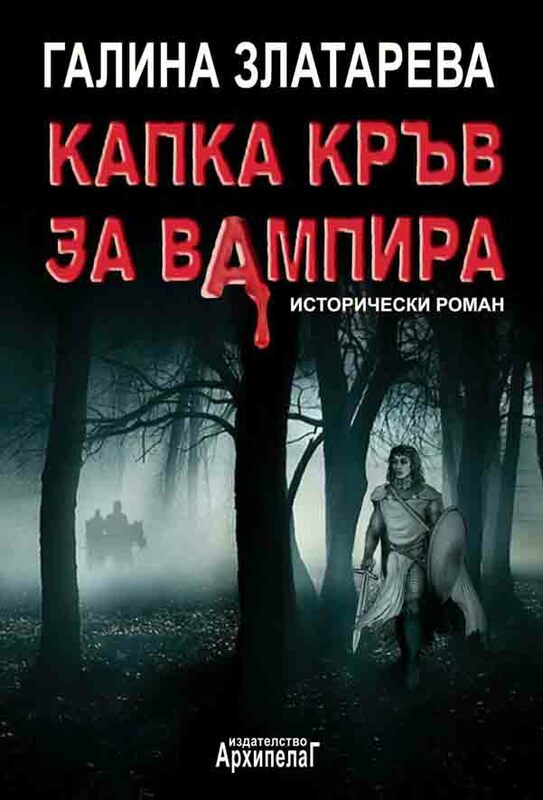 The only part of the book that presents something truly Hungarian that is probably not available elsewhere, concerns the Hungarian silent Dracula film, Drakula halála, from 1921, so if you are looking for information on that one, Pivárcsi's book may be worth getting hold of. Otherwise, well, maybe this book is simply intended for younger readers looking for a popular introduction to the subject, and in that respect it is probably not worse than so many other books. 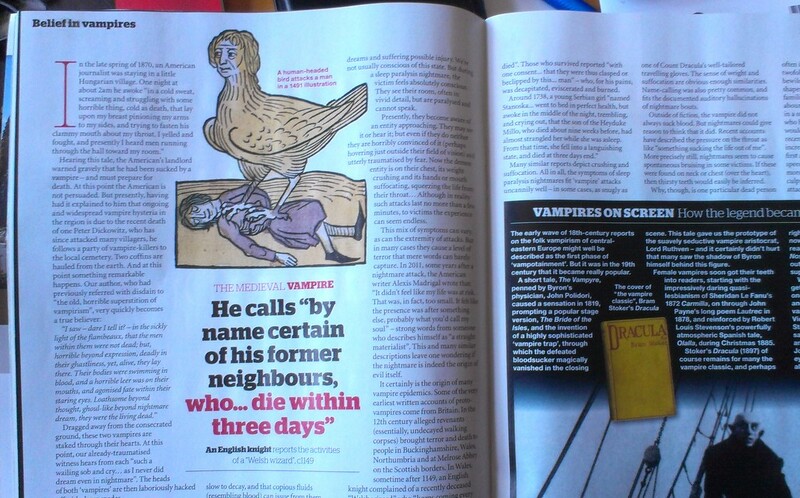 But if you are looking for something on Hungarian or Transylvanian folk beliefs, I'd rather go for e.g. Tekla Dömötör's Hungarian Folk Beliefs. The original title of the book is not mentioned, but I think this is a translation of Pivárcsi's Drakula gróf és társai originally published in 2003. The Corpse of Evidence. 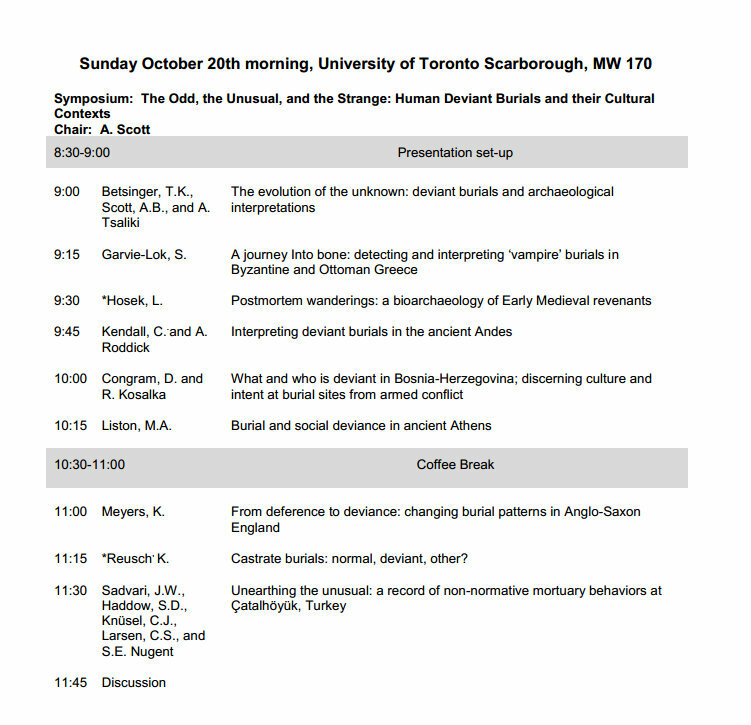 Cadavers and Proofs in Early modern European Forensic Medicine. We invite scholars to submit abstracts for a proposed volume on the history of early modern European forensic medicine. At the center of the volume is the cadaver, observed, dissected and manipulated to provide answers to the questions of doctors, lawyers, theologians. How did the practices of interrogation of the dead body evolve in the different European countries and how did the concept of proof change? Proposals are encouraged which, while based on specific case studies, can provide ample stimulus for reflection and allow for comparisons between countries with different cultural, and particularly scientific, traditions. The deadline for submission is November 1, 2013. Thanks to Dr. de Ceglia of the Centro Interuniversitario di Ricerca "Seminario di Storia della Scienza" at the Università degli Studi di Bari Aldo Moro for notifying me. 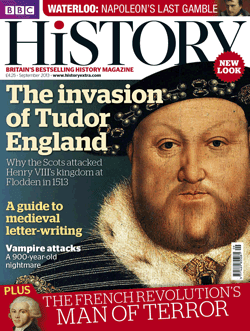 De Ceglia has published a paper on Giuseppe Davanzati's view on vampires: The Archbishop's Vampires. Most of what was written on vampires in the eighteenth century consisted of commentaries on either a very small corpus of eyewitness accounts from officials of the Habsburg authorities or the Catholic Church or of various tales of vampires and revenants from around Europe. The most careful and comprehensive study based on first hand examinations of both those who complained of being attacked by a bloodsucker and of the bodies of the suspected vampires, was written in 1756 by a regimental surgeon, Georg Tallar. Tallar was born in Mainz around 1700, and studied medicine there and in Straβburg. He then pursued a career as a surgeon and physician in the Habsburg army for more than thirty years, serving in Transylvania, Wallachia and the Banat. As Tallar mastered the local languages of those regions, he was not only able to discuss the subject of vampires first hand with the people who actually believed in them. Tallar witnessed five incidents in which people claimed to be attacked by vampires – or actually: Moroi – and in three cases he was himself involved in examining those who were ill as well as the corpses that were exhumed. He had actually even known some of those who, after their demise, were suspected of being bloodsuckers. The Wallachians who were ill and claimed to have been attacked by a bloodsucker, told Tallar that they had been in bed for a couple of days, and that their heart hurt. When asked where the heart sits, they pointed, not to the heart, but to the stomach and the intestines. They said that, whenever they tried to fall asleep, the bloodsucker appeared in the shape of this or that deceased man or woman, standing in front of them or in a corner. Some said that they saw the bloodsucker when they were asleep, but many of the afflicted actually saw nothing. Still, they believed that it was necessary to open the graves to look for the Moroi. Although exhuming and destroying corpses was prohibited by law, they were willing to break the law to seek out and destroy the bloodsucker. In fact, people were so afraid of falling prey to the vampire, that they dared not walk about after dark. Examining them, Tallar found that they complained from pains and aches in various part of the body, including strong headaches, and that their tongue would turn first pale and then become brownish red and dry as wood. They were very thirsty, and had a faint and erratic pulse. In each case, only Wallachians were affected by the bloodsucker, whereas neither soldiers, German settlers, nor local Serbs became ill, so Tallar concluded that the Wallachians did not suffer from an epidemic, but rather an endemic disease. Considering the traits of the Wallachians, he concluded that the food eaten by them, especially during the fasts that they fanatically observed during Winter - consisting of e.g. cabbage, garlic, and sauerkraut - was the cause of the disease. In fact, administering a simple vomitive often cured the diseased! Tallar also discusses various beliefs concerning the dead and their graves, refuting the beliefs and providing various natural causes for the phenomena. He e.g. refutes the belief that the bloodsuckers are more harmful on Saturdays, by exhuming and examining the corpses on various days of the week, showing that the state of the corpses were independent of the day of the week. Overall, Tallar is an exemplar of the medical enlightened man, emphasizing – like Gerard van Swieten – the lack of education among the Wallachians, while at the same time mentioning that they are not so stupid not to accept his medical remedies against the disease, when they notice that people get cured. From Medicinische Jahrbücher des kaiserl. königl. 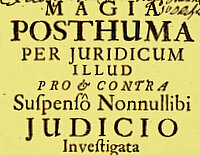 Tallar wrote his Visum-Repertum Anatomico-Chirurgicum after the vampire incident in Hermersdorf that prompted Empress Maria Theresa to stop the burning of corpses associated with magia posthuma, but his manuscript was left unpublished for almost thirty years, until the Viennese publisher Johann Georg Möβle came upon it and decided to publish it in 1784. 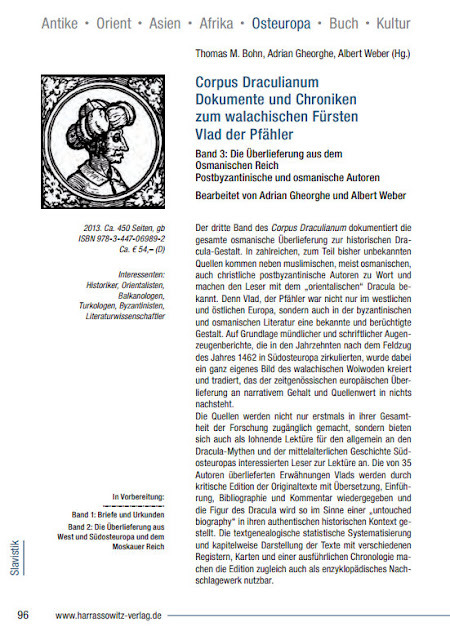 A reviewer in the Viennese Realzeitung für das Jahr 1784, expressed the wish that Tallar had used his proficiency in the Wallachian language to publish his observations on the matter in that tongue. Excerpts from the book turned up in Johann Dionis John’s Lexikon der K. K. Medizinalgeseze in 1790, and in an article in the Medicinische Jahrbücher des kaiserl. Königl. Österreichischen Staates in 1846. 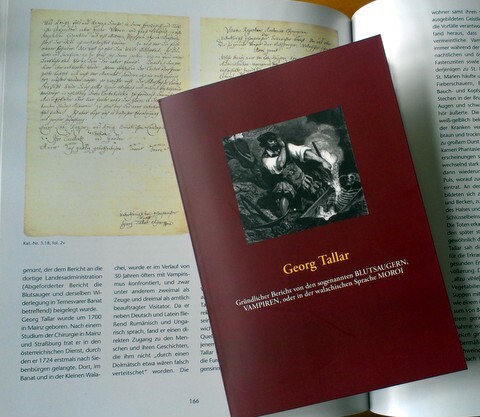 Now, almost 250 years after its first publication, Tallar’s book has been reprinted by Nicolaus Equiamicus in a slim volume that replaces Möβle’s introduction by a new one by Equiamicus, and adds a few explanatory footnotes, while slightly updating the language of the original. Tallar’s original is readily available online (see my list of links), but Equiamicus is to be commended for providing us with a handy edition of this essential text on vampire beliefs. And it is available for just €7.90. 'In her recent book on sleep paralysis, Shelley Adler related how the religious beliefs of Hmong people from south-east Asia led to several nightmare-related deaths during and after the 1970s. Therese attack, which occurred in the USA among Hmong refugees, were thought to be due to angry ancestral spirits and subsequently inspired the horror film A Nightmare on Elm Street. 'The werewolf - a human with the ability to shapeshift into a wolf- is a creature with a firm hold on the modern imagination. It prowls our countryside and cinema screens alike on the eve of a full moon. Yet the birth of the werewolf myth can be traced back thousands of years into prehistory. 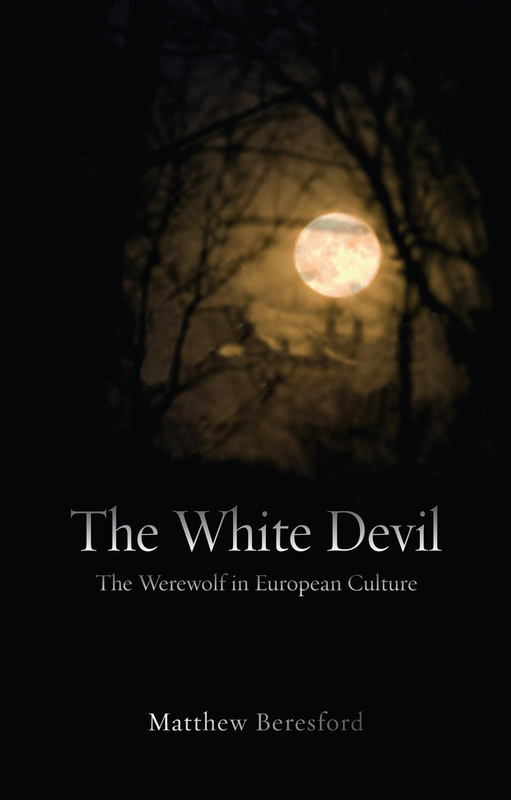 The White Devil tracks the development of the myth of the terrifying lycanthrope as it progresses through history to the present day. How do Iron Age bog bodies, Roman gods, Joan of Arc, Adolf Hitler, and Sigmund Freud all feature in the story of the werewolf myth? 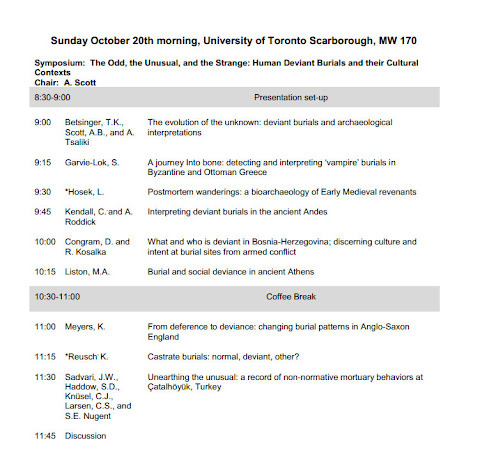 Matthew Beresford answers these questions and more in considering early death and burial rites, mythology, folklore, archaeological evidence and local superstitions through to medieval literary offerings, werewolf trials, medical explanations, alleged sightings, and cinema. The city of Detroit filed for bankruptcy this Summer, and there has been much speculation whether it will be decided to auction off pieces of art from the Detroit Institute of Arts (DIA) to alleviate the city's debt of $18 billion. Although it appears to be unclear whether parts of the collection can be sold at all, Christie's has recently been hired to appraise the collection. One of the paintings from the DIA's collection is Fuseli's Nightmare, that has been the subject of a few posts here, and that I myself got to see at the Musée d'Orsay in Paris earlier this year. It's hardly on the top ten list of art that the institute owns, as it includes several famous pieces by e.g. Tintoretto, Lucas Cranach the Elder, Hans Holbein, Titian, Bruegel, Rembrandt, and Degas, but it is certainly a piece of art that has played an important role in art and cultural history for over 200 years, including in cinema, as was one of the themes of the L'ange du Bizarre exhibition at Orsay (and formerly at the Schwarze Romantik exhibition at the Städel Museum in Frankfurt), so it would be a shame to see it along with other important pieces sold off to private collectors. 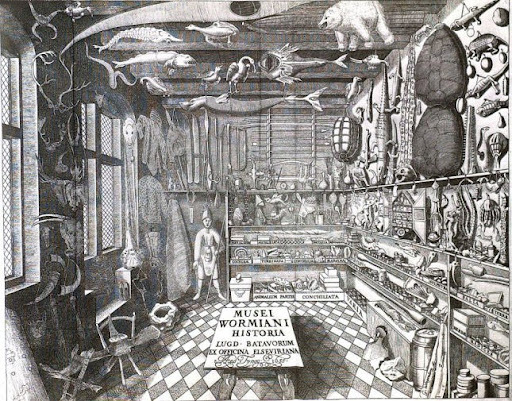 The 1655 engraving of the Danish physician and antiquarian Ole Worm's collection of various animals, plants, minerals and other objects, the Museum Wormianum, is one of the most famous examples of the Schatz-, Kunst-, Raritäten-, and Wunderkammern from the sixteenth and seventeenth century. After the death of Worm, King Frederik III obtained the collection and integrated it with his own art collection. The original collection no longer exists, but I suppose it is hard not to wonder what it would have been like to visit Worm's museum, and, if my memory serves me right, an attempt was actually made to temporarily reconstruct the Museum for an exhibition at Rundetårn in Copenhagen some 25 years ago. The only collection of this kind that survives to this day, is the one started by Ferdinand II of Tyrol at Castle Ambras just outside Innsbruck in 1580, and it is fortunately readily accessible to the public. It is, however, not easy for the modern visitor to find out what the unifying principle behind the collection was, as it consists of natural objects, art and handicraft from around the globe, some fantastic, some very exotic, some grotesque, and some more ordinary, like the portraits of the Renaissance authors Petrarca, Dante, and Boccaccio, as well as that of the Wallachian ruler Vlad Tepes. The catalogue for sale at the castle, Meisterwerke der Sammlungen Schloss Ambras, is, however, more prosaic in describing the Archduke's collection mania. Apart from collecting armoury and weapons and building a library, the Archduke was in full harmony with the ideology of that day and age, collecting examples of antiquitas, antiquity, mirabilia, wonders, abnormalities, and artefacts, scientifica, scientific instruments of all sorts, as well as exotica, objects of non-European origin. The collection was intended to comprise a compendium of works of nature and art that reflected the macrocosm of God. The notion that such a collection should reflect God's macrocosm did, however, not mean that it should be a microcosm of God's creation or Nature or an inventory as e.g. the daunting Naturhistorisches Museum in Vienna, but in fact only 'a microcosm or Compendium of all rare strange things,' as a French physician had inscribed over his own cabinet. 'Early modern collections excluded 99.9 percent of the known universe, both natural and artificial - namely, all that was ordinary, regular, or common,' writes Lorraine Daston and Katharine Park in Wonders and the Order of Nature (2001). Obviously there is much more to Archduke Ferdinand's collection than the mere interest in horrors that McNally and Florescu would have us believe back in 1972. The famous portrait of Vlad Tepes, 60 cm by 50 cm, was painted during the second half of the sixteenth century, and it is usually assumed to have been copied from another painting that may be lost. It is known to have been located in Archduke Ferdinand's library by 1596. In fact, according to the inventory of 'allerlai gmäl und taflen' from that year, the painting is simply described as 'Dux Balachie' (as mentioned in the catalogue from the Dracula. Woiwode und Vampir exhibition at Castle Ambras in 2008). The lower part of the painting is painted white, perhaps in an order to remove a name or title. Incidentally, the Dracula. Woiwode und Vampir catalogue mentions that the letters 'S T', probably the initials of the otherwise anonymous artist, can be found on the middle button, cf. the photo below. During my visit, the truly unusual portrait of Gregor Baxi was exhibited as part of a fascinating exhibition about the history of knights, along with a reconstruction of an impaled skull similar to the painting of Baxi made as part of a research project that concluded that the pale penetrated Baxi's head so low that the brain would have been left intact. To the left of this set of paintings is a painting of a giant and a dwarf, and to the right Pedro Gonzalez, 'The Wolfman of Munich' according to McNally and Florescu, along with his two children. I intend to return to these portraits in another post. Outside the castle is a large garden consisting of, I suppose, both a more baroque and a more romantic and naturalistic garden, both worth a walk up and down the heights. Next to the castle one finds a very cold cave, the Bacchus Grotto, where noble visitors were requested to ceremoniously pass a test in which they were put in fetters until they had drunk a cup of wine. Afterwards they were freed and signed a ledger. These Trinkbücher still exist and are exhibited at the castle. No ceremony is required to enter the castle these days, apart from paying a few Euros. It is truly a great place to visit, and so is Innsbruck and the surrounding Alps. Of particular interest in my opinion is the Tiroler Volkskunstmuseum, and if you fancy Renaissance and early Baroque music, you might consider the Innsbruck Festival of Early Music. Believe it or not, during my visit, one of the local cinemas, Cinematograph, was actually showing Werner Herzog's Nosferatu! According to Bram Stoker's notes for Dracula, Jonathan Harker's travel route was: London - Paris - Munich - Salzburg - Vienna - Budapest - Klausenburg - Bistritz. In Munich he stayed at the Quatre Saisons hotel, now Hotel Vier Jahreszeiten in Maximilianstrasse, part of the Kempinski group. Opened in 1858 as a state of the art hotel, it is still considered one of the leading hotels of the world. Judging by the only Kempinski hotel I have myself stayed at, the luxurious Hotel Adlon in Berlin, the Vier Jahreszeiten is no doubt worth a stay - if you can afford it. The relationship between the short story Dracula's Guest and Dracula, the novel, is disputed, but elements from the short story can be found in some of Stoker's notes for the novel. These include a visit to the Pinakothek, which at the time consisted of two collections, the Alte Pinakothek and the Neue Pinakothek. Today a Pinakothek der Moderne has been added. The collections exhibit many well-known and important pieces of art, e.g. Michael Pacher's 15th century set of four paintings from St. Augustine's life, including that of the Devil showing Augustine the Book of Vices. Currently the Alte Pinakothek is exhibiting an interesting collection of motifs from the Old Testament. Stoker possibly intended Harker to visit the Opera for a performance of Wagner's Flying Dutchman, no doubt at the Nationaltheater München. There are, of course, also other things to enjoy while in Munich. 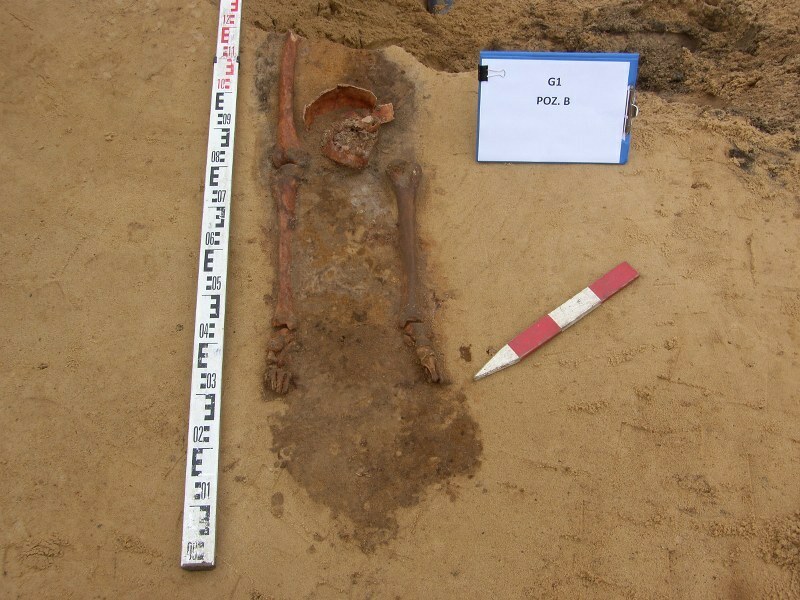 While constructing a ring road in Gliwice in South West Poland, formerly part of Silesia, four skeletons were found with their heads cut off and e.g. placed between the skeleton's legs. Archaeologist Dr. Jacek Pierzak says that it is hard to date the skeletons, but they are believed to come from the early modern period. Tests will date them and may provide a better understanding of whether they were e.g. victims of a cholera epidemic, executed criminals, or indeed people who the locals wished to prevent from becoming revenants. 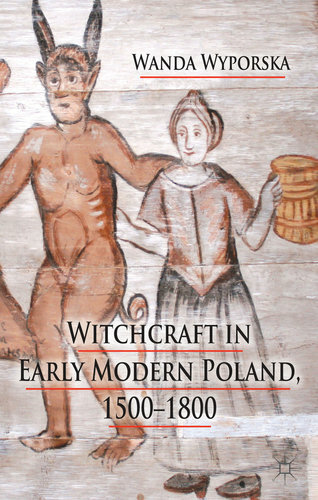 The latter theory has made some Polish web sites write about incidents of vampirism in the areas that are now part of Poland, and, of course, Silesia was one of the areas where beliefs in magia posthuma was not uncommon in the early modern period. The press mentions a more recent example from the village Stare Mierzwice Masovia, about 100 km to the East of Warsaw, where in 1914 a corpse was dug up, beheaded, and the head placed between the legs. Thanks to Leon Aguilera Radford for notifying me of this news story. 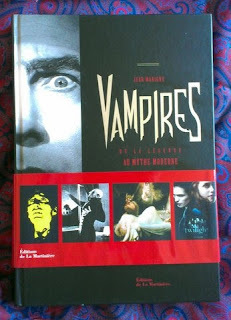 When in Paris a couple of months ago, I picked up a number of books at the Musée d'Orsay, including Jean Marigny's Vampires de la legende au mythe moderne published in 2011 by Éditions de La Martinière. Large format, nicely bound with blood red edges, and fully illustrated in colour, it also includes three special booklets containing cover art, posters and stills from vampire novels and films. There are, in fact, a number of illustrations that you will probably not find elsewhere. 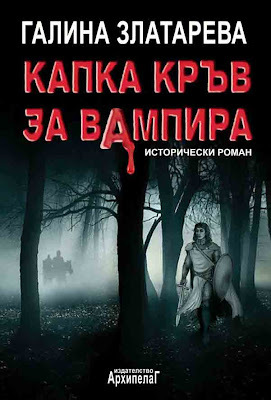 The text, however, follows relatively traditional lines: 'Vampires' from various periods and regions across the globe, as well as listing Vlad Tepes, Elizabeth Bathory and Gilles de Rais as persons who inspired the vampire myth, and the main portion of the book traces the fictional vampire from John Polidori's Lord Ruthven to True Blood and manga. Essentially, this is a colourful introduction to the subject, but those interested in vampires from a more historical or folkloric point of view, should rather seek out Marigny's Sang pour sang: Le réveil des vampires (translated into English as Vampires: The World of the Undead) or the volume Colloque de Cerisy: Les Vampires. 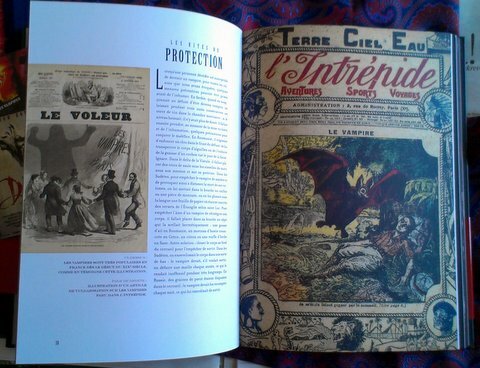 'Aujord'hui, le vampire est omniprésent sur nos écrans, dans nos libraires et dans le multiples manifestations. Cette vitalité exubérante est sans doute un signe de santé mais elle peut aussi mener rapidement à seuil de saturation. La mode actuelle des vampires a-t-elle des chances de durer? Nul ne peut le dire. On peut raisonnablement supposer que le vampire, devenu trop banal, connaîtra dans les années à venir une nouvelle période de récession - mais on sait aussi qu'il est immortel ...' (from Marigny's conclusion). 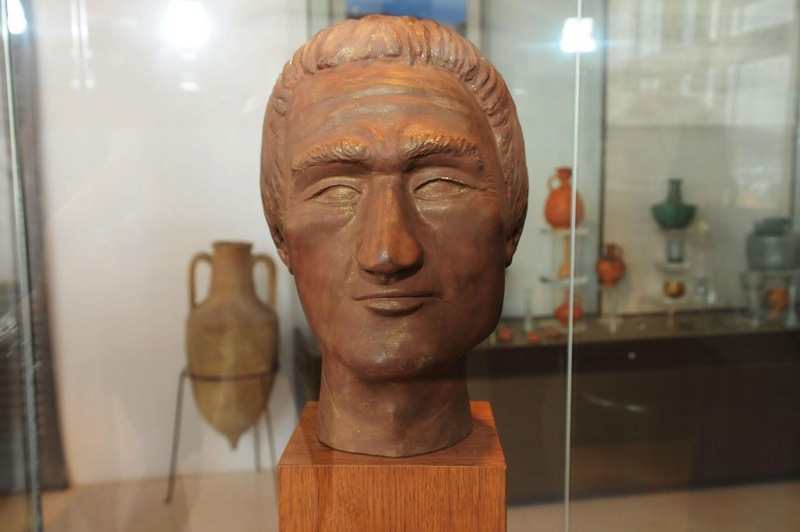 According to Professor of anthropology, Yordan Yordanov, who has studied and reconstructed the head of the ‘vampire skeleton’ from Sozopol, the head is not only unusually asymmetrical, but it also shows traces of so-called incomplete or symbolic trepanation (or trephination). Trepanations can be divided into three classes: 1) Those performed on living subjects as a therapeutic method. 2) Those performed on a corpse for "magic" properties. 3) Incomplete trepanations that are performed on living subjects without fully removing a piece of the skull, perhaps only scraping off portions of the skull. The last ones are those signified as symbolic trepanations and are supposed to be performed for cultical reasons. Several examples of this kind of trepanation are known from Hungary (according to Berecki, Molnár, Marcsik, Pálfi: Rare Types of Trephinations from Hungary Shed New Light on Possible Cross-cultural Connections in the Carpathian Basin in International Journal of Osteantrohopology, it was fairly common there in the 9th to the 11th century, cf. also this blog). 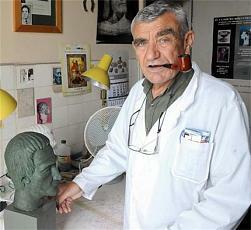 The term symbolic trepanation was introduced by the Hungarian L. Bartucz in 1950, and Yordanov himself has studied the phenomenon on finds from the West coast of the Black Sea (Jordanov, Dimitrova, and Nikolov: Symbolic Trepanations of Skulls from the Middle Ages (IXth - Xth Century) in Bulgaria in Acta Neurochirurgica Vol 92 (1988), issue 1-4, pp. 15-18). 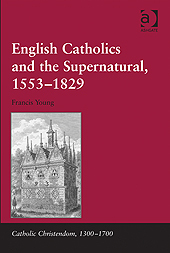 According to the publishers: 'In spite of an upsurge in interest in the social history of the Catholic community and an ever-growing body of literature on early modern 'superstition' and popular religion, the English Catholic community's response to the invisible world of the preternatural and supernatural has remained largely neglected. Addressing this oversight, this book explores Catholic responses to the supernatural world, setting the English Catholic community in the contexts of the wider Counter-Reformation and the confessional culture of early modern England. In so doing, it fulfils the need for a study of how English Catholics related to manifestations of the devil (witchcraft and possession) and the dead (ghosts) in the context of Catholic attitudes to the supernatural world as a whole (including debates on miracles). The study further provides a comprehensive examination of the ways in which English Catholics deployed exorcism, the church's ultimate response to the devil. 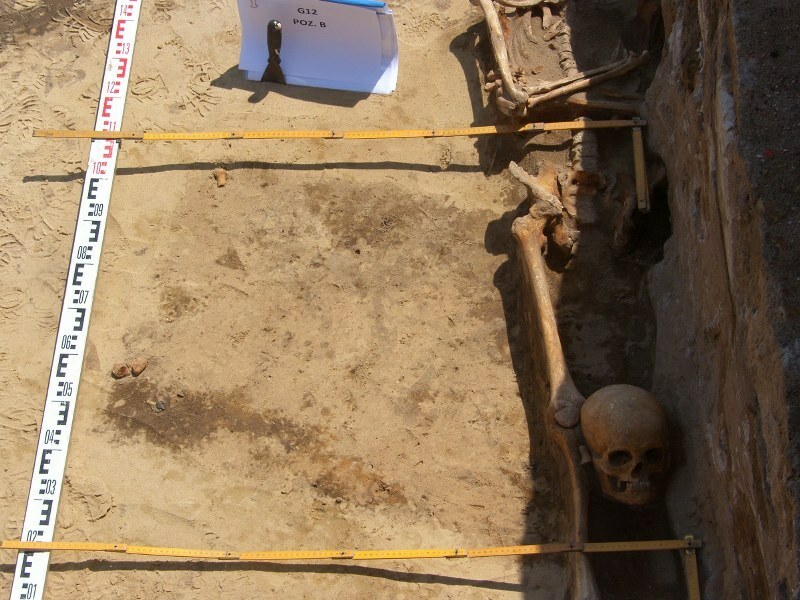 Here are two documentaries inspired by the 'vampire skeleton' find in Sozopol in Bulgaria. The first one is an incredibly dramatic and sensational 'history' of vampires from Russian Mainstream TV Company, while the second is a more straightforward documentary about the Sozopol find made for National Geographic. Neither are currently available online in English. Cf. older posts like Archaeology as romanticism and ideology and Vampire skeletons, a Bulgarian Indiana Jones and the remains of John the Baptist. A video from the Sozopol exhibition can be found at Zona Burgas. ‘I am in doubt, and so have done the best thing I know of; I have written to my old friend and master, Professor Van Helsing, of Amsterdam, who knows as much about obscure diseases as any one in the world. I have asked him to come over, and as you told me that all things were to be at your charge, I have mentioned to him who you are and your relations to Miss Westenra. This, my dear fellow, is only in obedience to your wishes, for I am only too proud and happy to do anything I can for her. Van Helsing would, I know, do anything for me for a personal reason. So, no matter on what ground he comes, we must accept his wishes. He is a seemingly arbitrary man, but this is because he knows what he is talking about better than any one else. He is a philosopher and a metaphysician, and one of the most advanced scientists of his day; and he has, I believe, an absolutely open mind. This, with an iron nerve, a temper of the ice-brook, and indomitable resolution, self-command, and toleration exalted from virtues to blessings, and the kindliest and truest heart that beats – these form his equipment for the noble work that he is doing for mankind – work both in theory and practice, for his views are as wide as his all-embracing sympathy. I tell you these facts that you may know why I have such confidence in him,’ writes Dr. Seward in a letter to Arthur Holmwood dated Saturday, 2 September with regards to Miss Westenra’s health. With all his peculiarities of action, manner and speech, the character of the Dutch Professor Abraham Van Helsing, ‘M.D., D.Ph., D.Lit., Etc.’, has been interpreted and portrayed in many ways since the first stage and film adaptations of Bram Stoker’s Dracula. 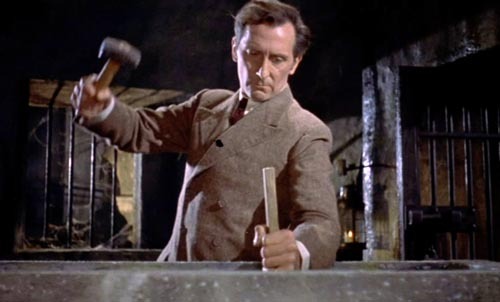 In 1957, when British Hammer Films were to adapt the novel for their second excursion into Gothic horror, Dracula, they turned to the star of their The Curse of Frankenstein, Peter Cushing, for a suitable actor for another role as both scientist and outsider. Usually acting on very limited budgets, Hammer had to limit the range of characters and action to a minimum, so Van Helsing himself took on the role of the prime vampire hunter after his collaborator, Jonathan Harker, had become the victim of Count Dracula. Cushing’s Van Helsing then is not the wise old man who conducts the younger men in their hunt for Dracula; he is himself the active vampire hunter taking the lead, and very physically running and jumping about in order to hunt down and eliminate Dracula and his vampire women. He also becomes the one who employs the latest technological advances like a phonograph, much to the amazement of the common man who is unable to understand why Van Helsing is ‘talking to himself’. Cushing’s Van Helsing is, as Cushing’s roles almost always are: ever as astute as he is eloquent and immaculately attired, revealing exactly that attention to detail that Cushing appears to have applied when preparing himself for his roles. 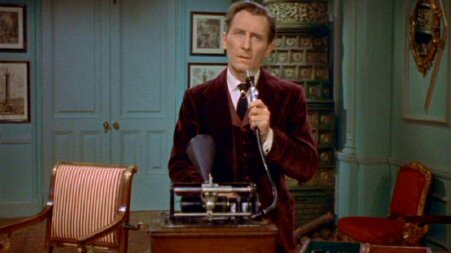 All this is exemplified in the curious, but at the same time fascinating scene in which Cushing records his observations and conclusions regarding vampires on the phonograph. We in the audience probably feel uncertain as to whether Van Helsing is actually a progressive scientist, as the reference to ‘the greatest authorities of Europe’ would lead us to believe, or he is dabbling in things that truly transcend any reasonable boundaries of scientific method, as in the case of Cushing’s other grand role, Victor Frankenstein. Although we experience that the vampire in Hammer’s Dracula is a real phenomenon, the boundaries between science and metaphysics are blurred, and when we learn more of Van Helsing’s encounters with another vampiric aristocrat, Baron Meinster, in the follow up, The Brides of Dracula (1960), the religious symbolism is no less apparent. The vampires are ultimately killed with the sign of the cross (using the sails of a wind mill, perhaps echoing Universal’s Frankenstein films), and, when Van Helsing himself becomes the victim of a vampire, he must cleanse himself from the infection using holy water. In Hammer’s series of Dracula films, Christopher Lee’s Count Dracula acts a sexual threat against the bourgeoisie, tempting both unmarried and married women to stray from the accepted paths. In Taste the Blood of Dracula (1970) he exposes the double standards of the family fathers who live a philistine double life seeking to taste forbidden fruit outside their lives as faithful husbands, fathers and citizens. Peter Cushing only plays the role of Van Helsing in some of the films, allowing others to act as the one who restores order to family and society. Van Helsing, however, appears to live outside the mainstream of society, no doubt because of his knowledge concerning the very forces that threaten society, while his intelligent and direct manner also appears to offend polite society. Cushing did, however, also the play the role of a religious figure at the core of a society, a fanatical zealot who is not only chastising women in general, but is always on the outlook for both witches and vampires, in Hammer’s third variation on Joseph Sheridan Le Fanu’s Carmilla, Twins of Evil (1971). Hammer’s Count Dracula himself was introduced as an eloquent aristocrat, but was soon turned into a nonverbal force that appeared to have a rather limited freedom of movement, and as Hammer itself struggled to maintain it’s existence, they tried to bring both Dracula and Van Helsing into the 1970’s in Dracula A.D. 1972 and The Satanic Rites of Dracula. Consequently, Cushing plays Lorrimar Van Helsing, a descendant of the original Van Helsing, but generally remains as astute and dynamic as his forefather, but unfortunately both films are, although not without some merit, in retrospect signs of the death agony of Hammer’s Gothic formula when compared to it’s competition: blockbuster horror films like The Exorcist and The Omen. 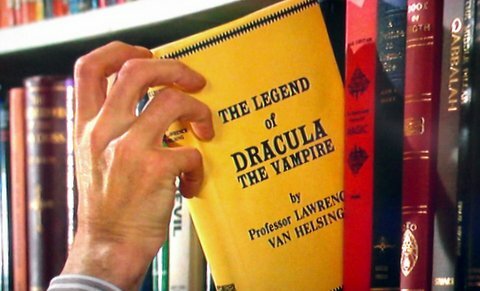 As is The Legend of the 7 Golden Vampires, in which Peter Cushing added vampire hunting in China to the curriculum vitae of Van Helsing. 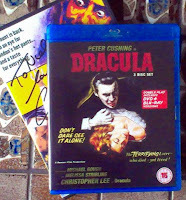 It certainly has entertainment value, but overall the whole idea of a series of Dracula films based on Hammer's formula was probably becoming obsolete at this time. Peter Cushing himself remained closely related to the genre, but also got the chance to play an important role in the first Star Wars film. Still, among his finest moments are his roles as Victor Frankenstein in Hammer’s series of rather thematically and artistically coherent Frankenstein films, and as Van Helsing in first and foremost Dracula, which was released on Blu-ray in a magnificent and highly recommended, restored edition earlier this year. This post is part of the Peter Cushing Centennial Blogathon celebrating the centenary of Cushing’s birth. 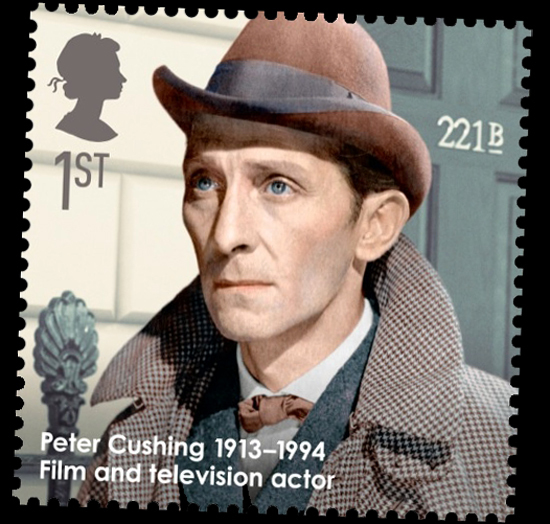 Peter Wilton Cushing was an English actor born on 26 May 1913, who appeared in numerous films, including films produced by Hammer Films. He died on 11 August 1994.